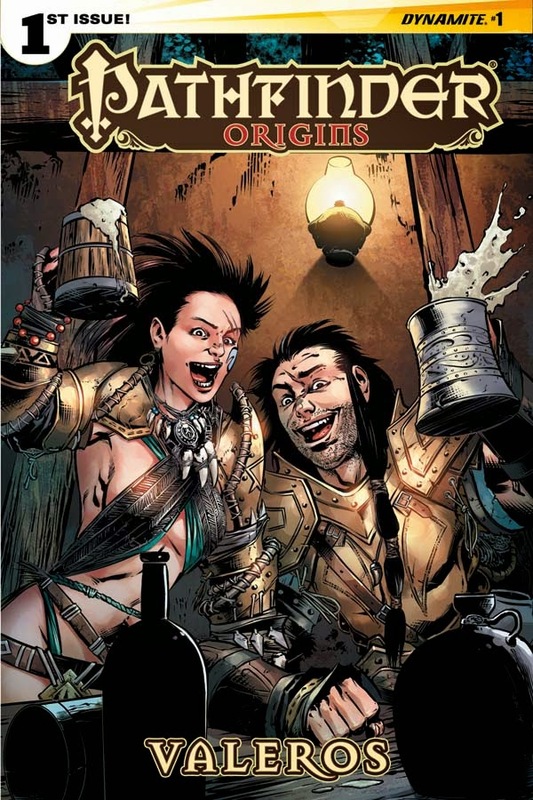 Paizo, Inc., leading publisher of tabletop roleplaying and adventure card games, and Dynamite Entertainment, publisher of best-selling comic book titles, announce today Pathfinder Origins, the next comic series based on the Pathfinder Roleplaying Game. 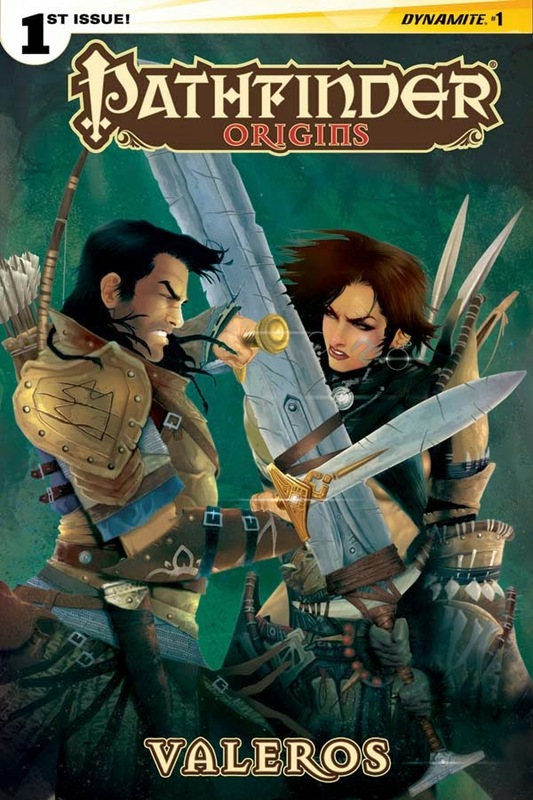 The Pathfinder Origins series will tell the tales of the early days of the Pathfinder iconic heroes. The series will contain 6 issues, written by Pathfinder developers Erik Mona (Paizo Publisher and Chief Creative Officer), F. Wesley Schneider (Paizo Editor-in-Chief), and James Sutter (Paizo Senior Editor). 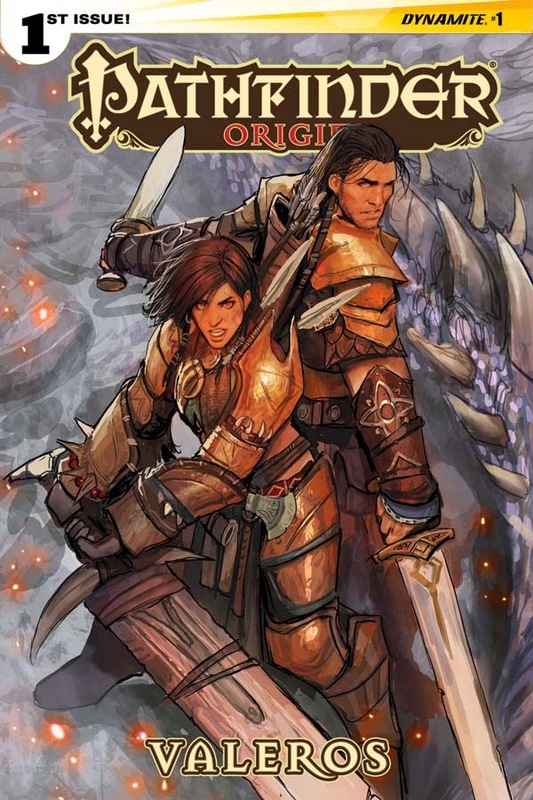 Each issue features one of the main Pathfinder comics characters (Valeros, Seoni, Harsk, Merisiel, Kyra, and Ezren) in an early adventure that sees them team up with another Pathfinder iconic hero who has not yet appeared in the comics format. "The Paizo senior editorial team is thrilled to get a chance to pen new stories for the iconic Pathfinder characters we created," said Erik Mona, Paizo Publisher. 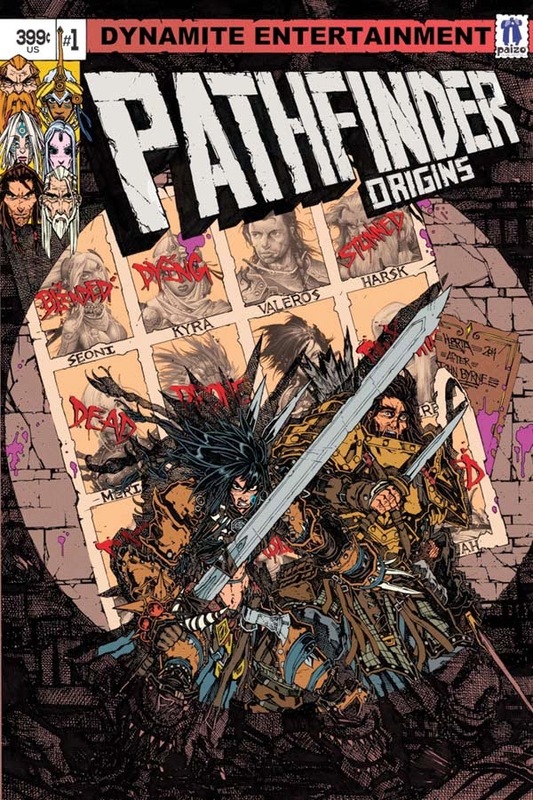 "Because the tales are coming directly from the source, Pathfinder Originsreveals more about the Pathfinder world than we've yet seen in comics, with scenes in a half-dozen different nations, featuring all twelve of our core iconic characters, plus some fun extras like Hellknights, devils, chupacabras, and more!" 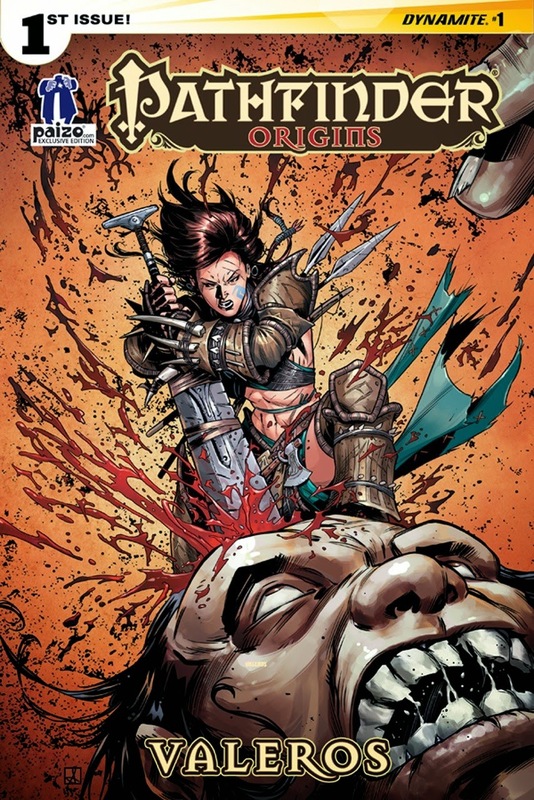 The series will kick off in February 2015 with Issue #1, in which Valeros crosses swords with the brazen barbarian Amiri when both serve as hired guards escorting a doomed caravan through the treacherous Bloodsworn Vale. Script by Erik Mona (Pathfinder: Goblins!) and art by Tom Garcia (Mercy Thompson). Each issue will contain a pull-out poster map, an official Pathfinder RPG bonus encounter, and collectible variant covers.